Physicists Like Me – Celebrating Careers and Diversity in Physics! 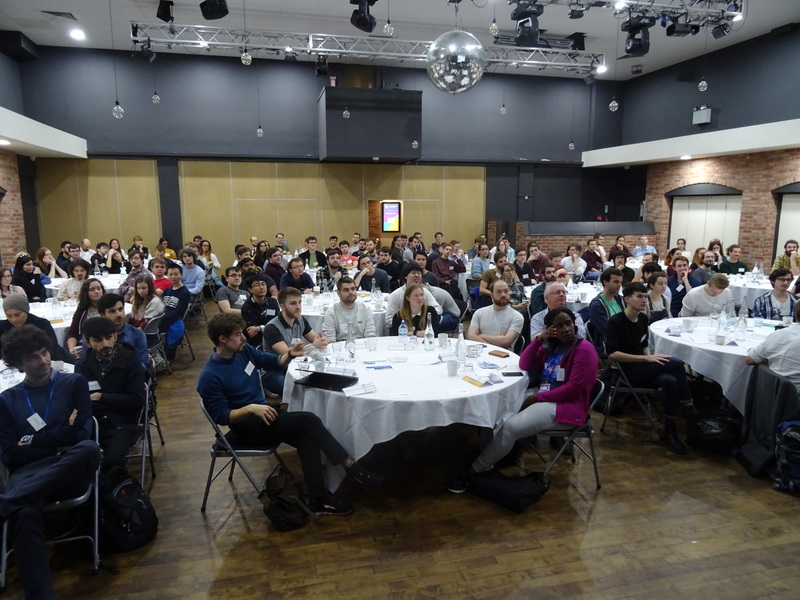 A recent joint IOP SEPnet event gave students an opportunity to explore their career options and network with physics alumni from diverse backgrounds. Speakers from academia, the oil & gas industry, teaching and technical start-ups, talked openly about their varied experiences of building a successful career and provided tips and ideas to support students with their future plans. GRADnet Winter School 18-20 February 2019: Register Now! No prior knowledge required. Very useful; I hadn’t considered that organisational leadership would be completely different (it required skills and considerations) to small group leadership. This course opened my eyes to new useful and practical concepts which I didn’t know existed. I really enjoyed the programme. It was varied and interesting. I liked the mix of presentation and workshop and having networking discussion panels with employers was useful. The programme was typically very well run and extremely engaging. A recent publication by the South East Physics Network (SEPnet) and the White Rose Industrial Physics Academy (WRIPA) highlights current and potential issues with the employability of physics graduates. 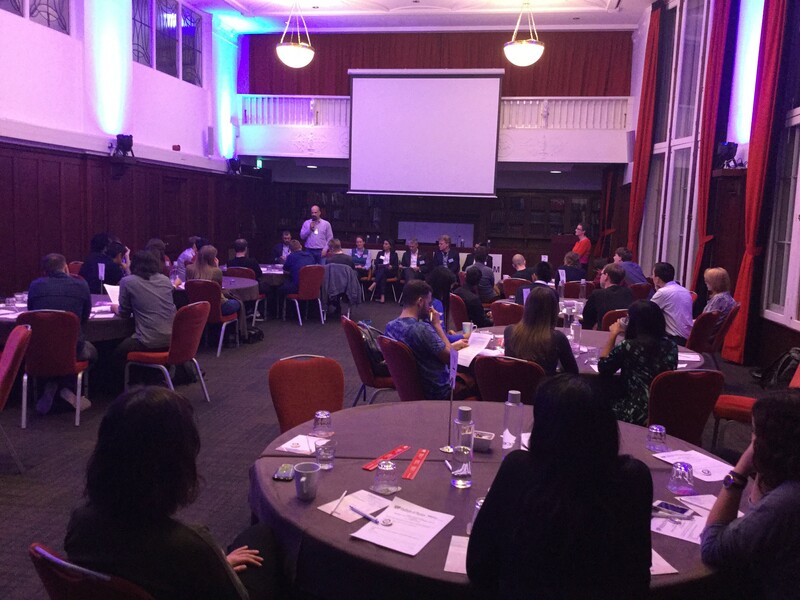 A Joint IOP & SEPnet Career Panel Session for Students from All Backgrounds: Physicists Like Me – Celebrating Diversity in Physics! 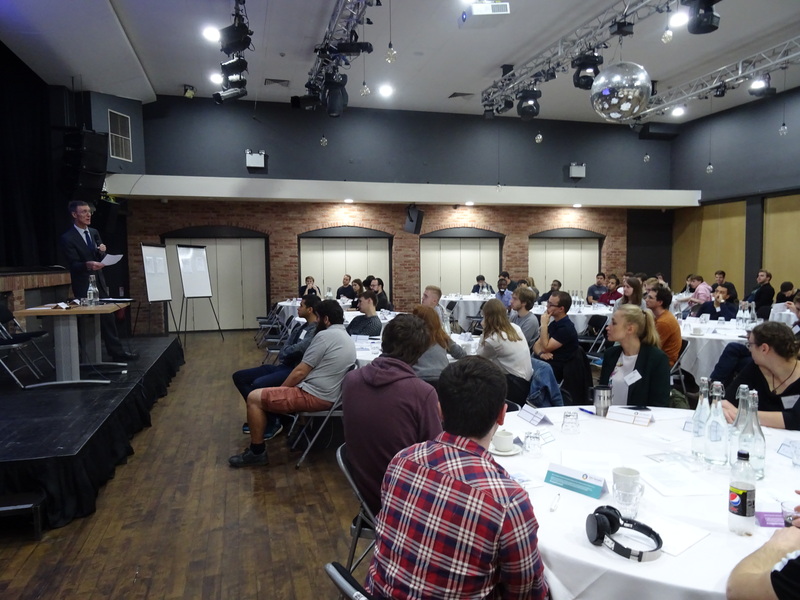 GRADnet Induction Day: A great success! 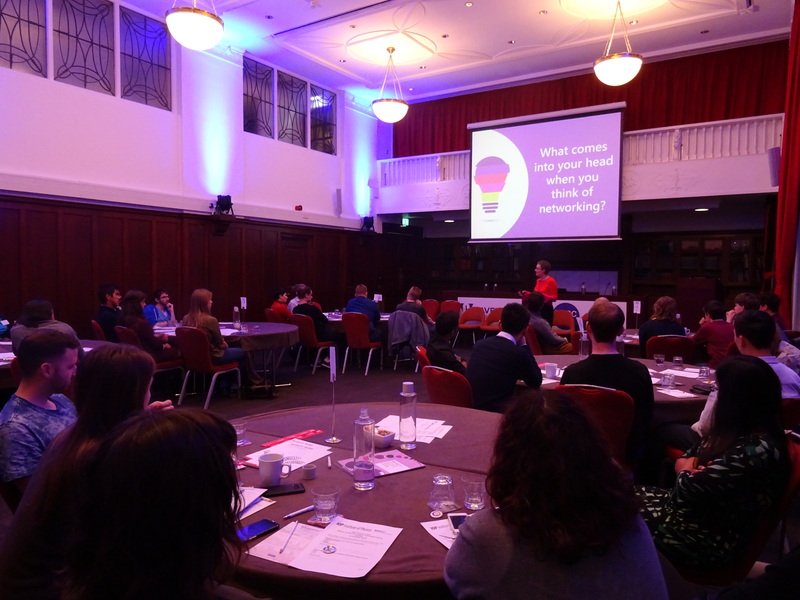 Over 120 first year postgraduate researchers attended the GRADnet Induction day on 24 October 2018 in central London. This was a great opportunity for students to meet fellow SEPnet postgraduate researchers from around the region. Students chose two out of 4 workshops to attend and the feedback was mainly very positive. Thank you to all our presenters and to Cristobel Soares-Smith, Graduate Network Administrator for organising this event. Students at the GRADnet welcome talk. Moving forward for 2nd Years 2018 Training Day: Good opportunity to meet up with fellow PGRs! About 60 SEPnet PGRs attended this training event held on Wednesday, 17 October 2018 to support PGRs in their second year. How to write a fellowship application (Workshop lead: Prof Peter McDonald, Surrey): Good workshop, explained the process clearly and ideas for presenting research ideas. Practical Innovation (Workshop lead: Julia Shalet, Product Doctor): I would highly recommend the workshop as it gives you a good and realistic view on what to consider when starting a business. Research Data Management (Workshop lead: Dr Juan Biccaregui, STFC/Dr Alice Motes, Surrey): Good! Ideas heard before, but made me think about it and motivated me to improve. Writing better software for research (Workshop Lead: Claire Hepwood, RHUL): This was extremely useful. I initially thought it might be basic for me but it taught me lots of practices I never knew about before. Thank you to our presenters and to Cristobel Soares-Smith, Graduate Network Administrator, for organising this event. Professor Sean Ryan, Executive Director, SEPnet, welcomes delegates. Panellists include: Martin Arnold, Trainee Patent Attorney, WP Thompson (Intellectual Property); Tracey Berry, Senior Lecturer in Physics, Royal Holloway University of London; Alex Cote, Data Scientist, Rank Group; Elaine Hickmott, Talent Development Specialist, EH Enterprises; Caterina Minelli, Senior Research Scientist, National Physical Laboratory; Russell Richardson, Director, RBA Acoustics Ltd; Jason Rolles, founder and Managing director, BlueOptima; Rosh Sellahewa, Manager, Deloitte; Helen White, Senior Technical Lead, HMG Contractor. Who: SEPnet postgraduate and postdoctoral researchers in astronomy, astrophysics and closely allied fields. What: A 2-day school led by senior researchers in SEPnet comprising lectures and workshops. The Advanced Physics School on the interface between observation and theory in astrophysics will address how to interpret astronomical observations in the new data-rich era. The sessions will cover theory and modelling relating to a number of current research areas in stellar, Galactic and extragalactic astrophysics, including using simulations and applying statistical tools to link theory and observational data. In particular, the School will address the rapidly developing area of machine learning and its application at the interface between observation and theory in astrophysics. The School will work its way up through spatial scales from planetary (in the context of exoplanet modelling), black hole, galactic (star formation), extragalactic (with a particular focus on stellar population synthesis models and also AGN), and on to galaxy formation models in cosmological contexts (and the role of cosmological simulations). With experts from across SEPnet presenting sessions in their areas of expertise, it is intended that the School will benefit students over a wide cross-section of astrophysics. Students will learn not only about the specifics of approaches they may utilise in their current research, but also learn about modelling and simulation techniques being applied in other fields of astrophysics that they may want or need to utilise in their future careers. Register here. Registration deadline 7 December 2018.